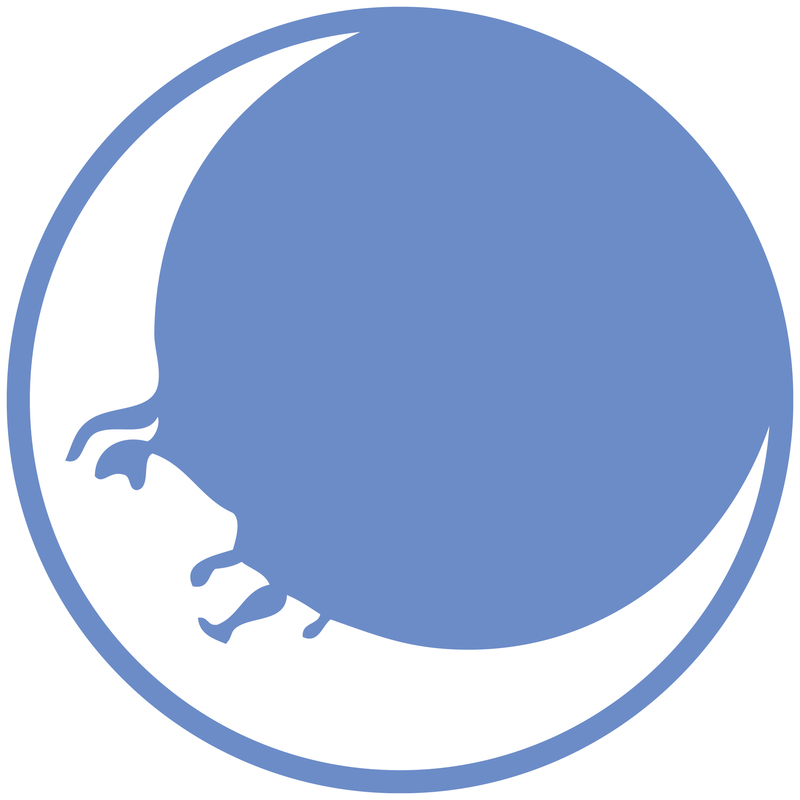 The City of Monroe Michigan hired New Moon Visions to develop a new brand and marketing strategy. 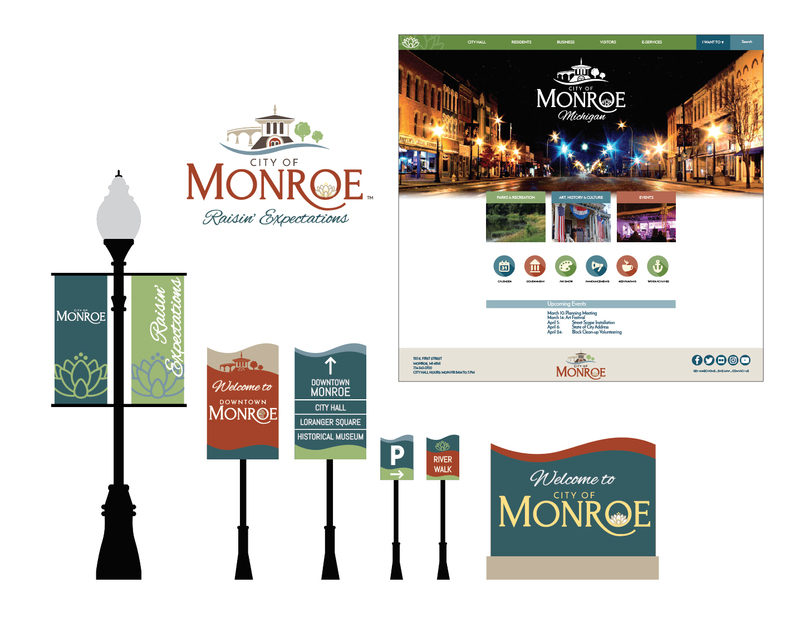 The overarching goal of the Branding Strategy is to have a unifying message that will contribute to generating tangible increases in community pride, in-migration, commercial activity, economic and community development, tourism and broader awareness of the City’s desirability. Identifying a strong destination brand has been the goal of the initiative. 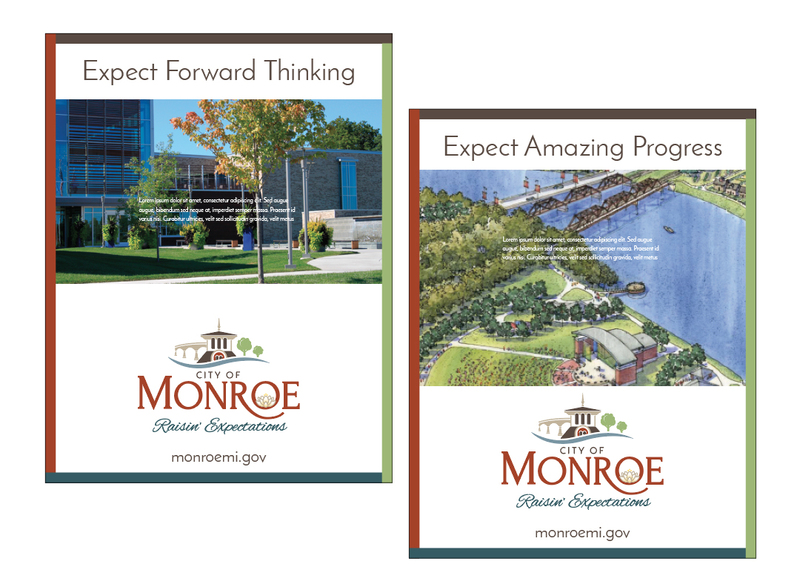 After several interviews, visioning sessions, phone calls, and online survey, New Moon uncovered Monroe’s brand values which led to the core essence statement and strategy to celebrate its unique history and waterfront. 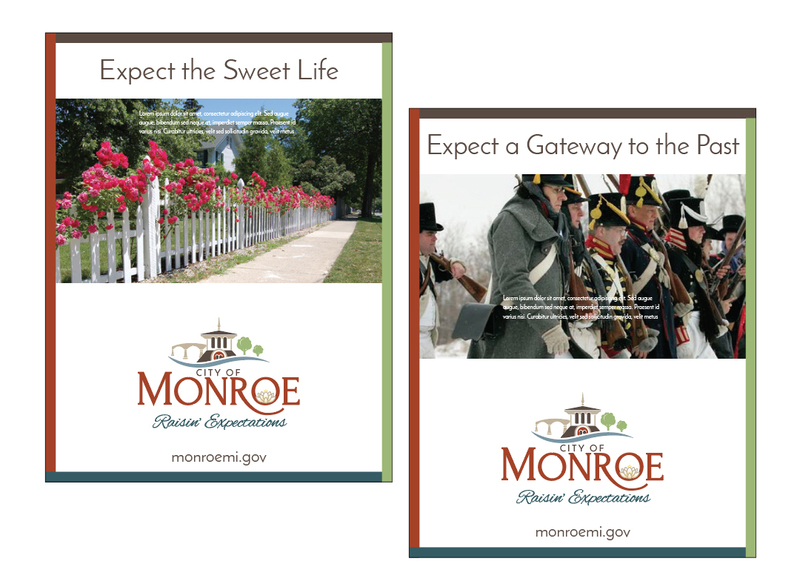 Experience a walk through time as you discover the spirit of Monroe. Rooted in rich and diverse history, where Western Lake Erie and the River Raisin meet, this city with its charming small-town vibe offers both a gateway to the past and a path to the future. The timeless River Raisin runs through the heart of a community that values preservation and sustainable living and has reinvented itself countless ways over 200 years. This river has inspired people from the pioneers of yesterday who built the city’s robust industries to the visionaries of today. 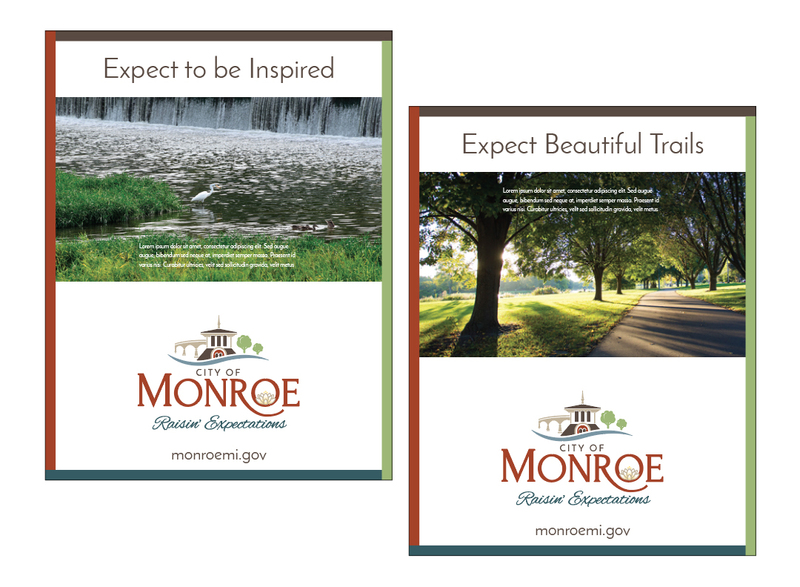 Monroe’s natural beauty enlivens its people and keeps its story flowing forward. Its historic sites, museums, genuine downtown, architectural gems and special events beckon. Explore scenic parks, biking paths, walking trails and pedestrian bridges. Take in a show at the outdoor band shell. 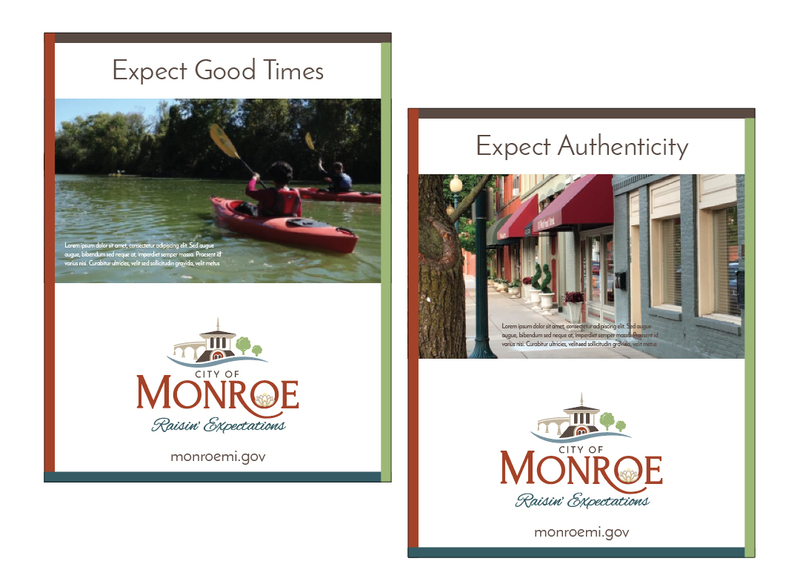 Enjoy the natural resources and recreational opportunities, metropolitan areas, affordable housing, and down-to-earth, family-friendly atmosphere — living the sweet life is a reality in Monroe. New Moon developed a complete brand system, with font styles, color scheme, brand guide for various visual uses, logos for partner organizations, signature events, letterhead, business card, press release, Email signature, Power Point, Newsletter, way-finding, promotional materials, streetlight banners and flag, water tower, city vehicle, website, print collateral, and ad campaign.